Federation Starship Captain Gabriel Lorca oversees the Flight Deck in the latest action shot for CBS’ small-screen revival, Star Trek: Discovery. 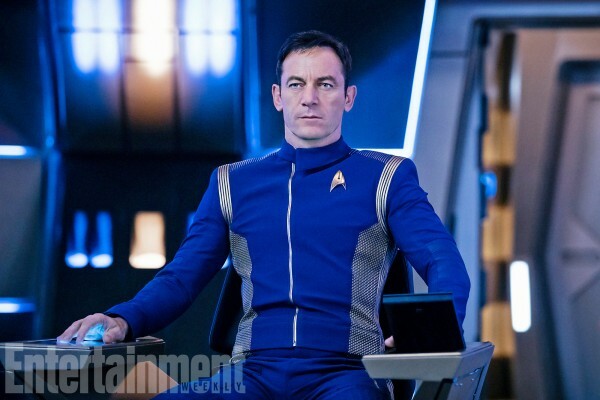 Played by former Harry Potter actor Jason Isaacs, the image below hails from Entertainment Weekly and offers an early glimpse into the bridge of the Discovery itself – remember, the space vessel shown in the show’s blistering first trailer was not, in fact, the USS Discovery, but rather a different ship that is expected to feature in Discovery‘s pilot episode. Set to span for 15 episodes in total – up from the original plan of 13 – Star Trek: Discovery is set to toy with expectations by placing the emphasis not on the ship’s captain, but his Starfleet First Officer Michael Burnham, played here by Sonequa Martin-Green of The Walking Dead fame. He’ll be at the forefront of an adventure set some 10 years before the events of Kirk and Spock, and while series producer Alex Kurtzman (The Mummy) has been busy teasing the possibility of big-name cameos, we know Discovery‘s ensemble cast has already recruited the likes of Michelle Yeoh, Doug Jones, Shaza Latif, Clare McConnell, Kenneth Mitchell, Maulik Pancholy, Anthony Rapp, Damon Runyan, and Terry Serpico. Twice delayed and subsequently split in two, Star Trek: Discovery has finally settled on a premiere date: Sunday, September 24th. The first half of CBS’ sci-fi reboot will run for eight episodes in total, before the final seven installments bring the curtain down on Discovery‘s inaugural season in January of 2018. UK viewers can expect Discovery to stream via Netflix beginning September 25th, one day after its premiere in the States. Star Trek, one of the most iconic and influential global television franchises, returns to television 50 years after it first premiered with STAR TREK: DISCOVERY. 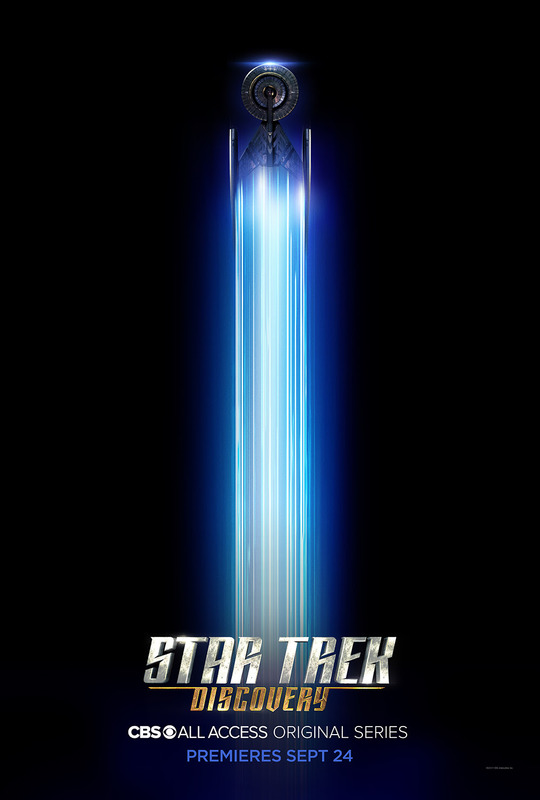 STAR TREK: DISCOVERY will follow the voyages of Starfleet on their missions to discover new worlds and new lifeforms, and one Starfleet officer who must learn that to truly understand all things alien, you must first understand yourself. The series will feature a new ship, new characters and new missions, while embracing the same ideology and hope for the future that inspired a generation of dreamers and doers.